Services for infants with multiple disabilities are far and few .There are very few medical professionals who guide the parents of a child with disability towards rehabilitation. Children with cerebral palsy, autism & intellectual disability have communication difficulties. There is an increased number of children with cerebral palsy plus low vision with inadequate services which needs to be addressed. There is a need for awareness on the significance of holistic early intervention programs. In Vidya Sagar, children are given specific intervention based on their immediate needs. 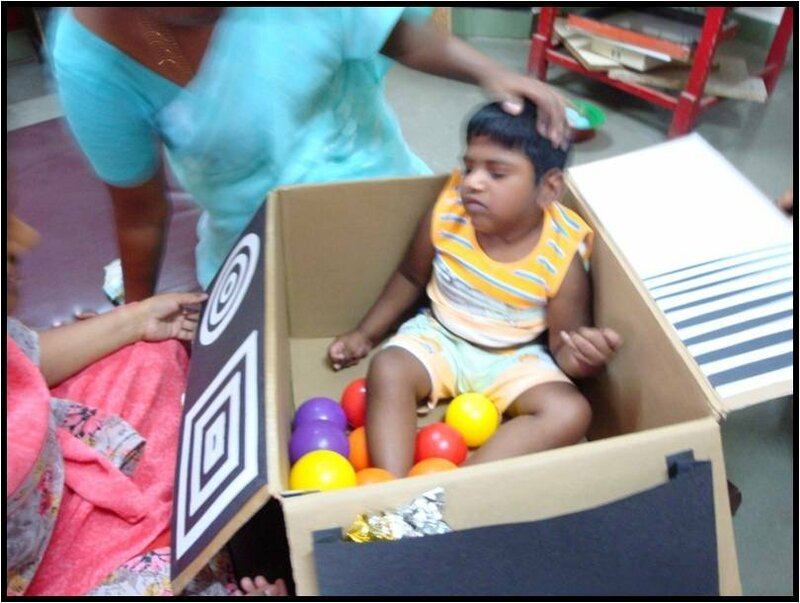 We practice the transdisciplinary model and our aim is to provide more family centered, coordinated and integrated services (with focus on alternative and augmentative communication and vision training) to meet the complex needs of children with disabilities and their families. The program also includes home visits, experiential learning and outings which helps generalization and concept learning.